This is my attempt at a Feral Ork "living" Gargant. 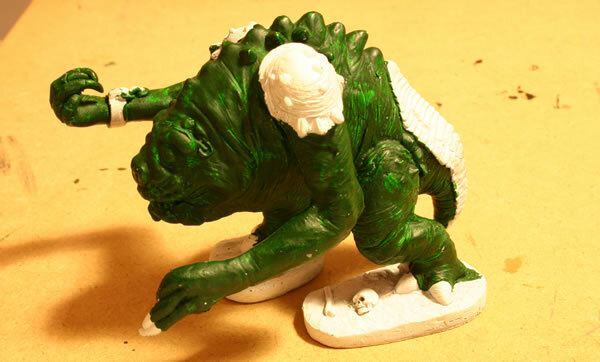 It is based on the West End Games Star Wars 25mm Rancor model. 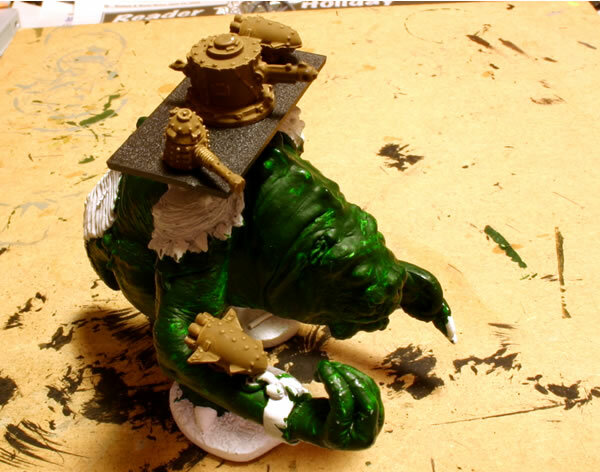 It was given a white undercoat before the major skin area was painted in dark green. This is a mock-up of how it could look and gives you an idea of scale.